Automation systems for corporate processes: for example, detection of the presence of employees for processing payrolls, elimination of annoying sets of keys, automatic access of the corporate fleet, remote opening control, management of the visited areas by means graphometric signature. Increased safety against potential external attacks by maintenance operators, electricians, external companies and all collaborators frequently accessing the site. A visitor management and recording function is guaranteed. Incidents can be traced retrospectively for security and statistical purposes with the possibility of questioning the system on the basis of a whole series of parameters (access point, date, time, employee, etc.). Increased level of safety against potential internal attacks by compartmentalizing internal and external areas and assigning gate access levels according to title, day, time etc. Support to corporate analysis and strategic decisions: collection and evaluation of data such as working hours, personal details, mails, company departments, cost centres, working hours of external collaborators and consultants etc. Functions promoting safety: calculation of the number of people in charge of first aid and fire fighting. Control of safety data in the case of access of external teams to any building site. Multi-platform and DBMS independent systems: the management software must be capable of working with different operating systems as well as with DB systems because the technological infrastructure of customers may be particularly complex and varied. Scalability. The system offered consists of a modular platform than can be expanded depending on the corporate requirements without any impact on the operation of the existing system. An increase in the number of terminals and users is possible. Segregation: when companies have different locations it is very important that all the companies belonging to different industrial groups can use the same architecture. Intelligence distribution: field use of intelligent concentrators and possibility of managing systems distributed over very large geographical areas. Operation is possible also in the absence of a connection with a central server (OFFLINE). Management of different subjects: the details concerning employees, consultants, vehicles, visitor, external parties may be stored either manually or using third parties’ systems. Management of several technologies (even on the same device). The system makes it possible to use magnetic bands, RFID with 125 Khz, RFID Mifare with 13.56 Mhz, UHF systems (long distance gaps), microwave systems (Telepass), BLE, NFC, Fingerprint biometry, facial biometry, OCR systems for reading registration numbers, QR codes and barcodes. The system can be connected with third parties’ applications. Data exchange between the systems takes place by means of LT, web-services (for example, SAP) etc. Management of alerts: warnings in the case of unauthorized/attempted access, alarm signals in the case of forced gates, terminal operation diagnostics. OCR system for reading registration numbers or alternative technologies such as Bluetooth, Telepass, UHF, spire etc. can be used for controlling vehicle access. Management of visits and visitors by means of new technologies: invitations sent by email, calendar and QR-Code management for “self-access”. Dematerialization: the documentation concerning privacy and safety measures may be viewed without using paper. Assisted reception work: presence of personnel at the reception desk. Self-check by means of a Totem: visitors are able to check-in autonomously by means of touch-screens making identification and the distribution of recognition cards possible. The systems we offer support classic (badge and magnetic) recognition technologies, but make also the use of mobile devices such as smartphones and wearable devices possible in order to access buildings and protected areas. All this takes place by means of new BLE, QR-Code and NFC technologies and increases profitability as well as the efficiency of modern work forces using mobile devices. Companies are able of managing identification details in a simpler and cheaper manner. 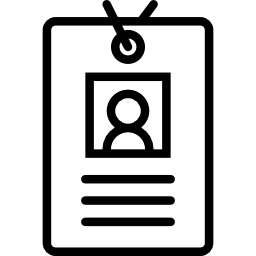 The access control using mobile devices can be either complementary to traditional badges and cards or represent an alternative to the latter. Biometric transponders increase safety for particularly critical areas. External solutions may be integrated into the system (for example, recording of times). The systems offered make it possible to retrospectively trace incidents and make statistical evaluations with the purpose of improving and optimizing industrial processes thanks to the automated management of visitors. The relevant solutions include graphometric signature and self-reception, the opening of gates by remote control, vehicle access control and safe key collection by means of electronic key hanging boards. Another very important point is safety and being able to immediately establish the exact number of people present within the Company area in order to guarantee correct evacuation in emergency cases. The systems offered make it possible to control the transit of vehicles by means of registration number reading systems, UHF electronic toll collection and APP-BLE systems as well as to control pedestrian access. This function applies to all types of persons having access to the site (employees, external companies, visitors). 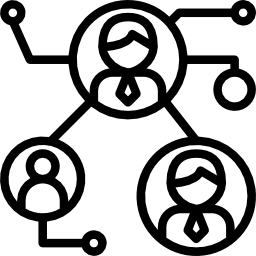 Every person having access to the site is provided with a personal badge authorized for all access areas or part of them and the control takes place at various levels. The access control system can also include mechatronic solutions with wireless systems. There is a wide range of high safety battery locks suitable for different applications which make it possible to reduce energy and maintenance costs. ONLINE Interface with the access control system takes place by means of a Gateway Wi-fi. This is the most logical choice for companies of all sizes wishing to update their access control system, but whose doors cannot be electrified. The systems offered make also the detection of the presence of employees for processing payrolls possible by means of a software for the management of certified access/presence. The system can be used with SAP and/or other management systems.